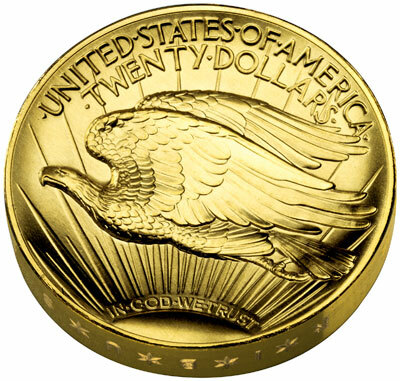 The United States Mint recently concluded sales of one of its most popular products in recent years, the 2009 Ultra High Relief Double Eagle Gold Coin. 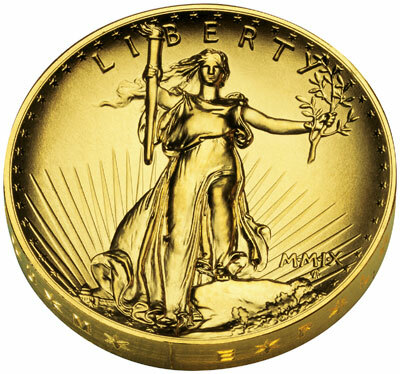 The coin was created to fulfill the vision of Augustus Saint-Gaudens for $20 gold piece struck in ultra high relief. The technology of his time did not allow the coin to be produced as he intended on a large scale. The efforts of the United States Mint and advances in technology allowed the coin to be produced in quantity and made accessible to all Americans. The coin was created by digitally mapping the original coin plasters and making some small updates. This included adding four additional stars to the obverse to represent the current number of states, changing the date to “MMIX” (Roman Numerals for 2009), adding the motto “In God We Trust” to the reverse, and adding a small border to both sides of the coin for a more consistent edge. The coins are struck in 24 karat gold with a diameter of 27 millimeters and one ounce of gold content. The US Mint’s intention to recreate the coin was first announced on March 13, 2008 at a meeting of the Citizens Coinage Advisory Committee. During the rest of the year, anticipation for the new coin grew as the US Mint unveiled the finished 24 karat gold coin at the Baltimore World’s Fair of Money in July and executed the first production strike at the West Point Mint in November. Sales of the 2009 Ultra High Relief Gold Coin began on January 22, 2009, with the coins priced at $1,189 each and an ordering limit of just one per household. Collectors rushed to place orders swamping phone lines and slowing the US Mint’s website to a crawl. Within the first five days of sales over 40,000 coins had been ordered. The US Mint continued to sell the coins throughout the remainder of the year. Numerous times the price of the coin was adjusted to reflect changes in the price of gold. The ordering limits were also increased and eventually removed completely, providing collectors with the opportunity to purchase more than one example of the historic coin. On December 31, 2009 at 3:00 PM, sales for the Ultra High Relief Double Eagle officially ended. The coins were last available at a price of $1,489, reflecting an average spot price of gold within the range $1,100 to $1,149.99. The last reported sales figures indicate that the US Mint sold 112,065 coins as of December 27, 2009. The 2009 Ultra High Relief Double Eagle was authorized to be produced for only one year of issue. There have been proposals to produce a Palladium Saint Gaudens Double Eagle struck in high relief, but the bills never gained any traction.